My daughter is obsessed with everything Daniel Tiger! 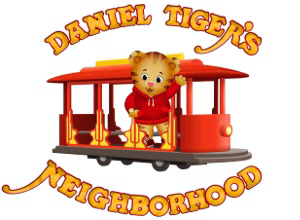 “Daniel Tiger’s Neighborhood” is an animated children’s television series targeted at preschool-aged children. The program is based on the “Neighborhood of Make-Believe” from “Mister Rogers’ Neighborhood,” the long-running family-oriented television series created and hosted by Fred Rogers. Little Lillian loves watching the show and reading Daniel Tiger books. She has a red toy trolley complete with the “ding ding” sound effect and a miniature Daniel Tiger (dressed in Fred Roger’s iconic red sweater) that fits perfectly inside. 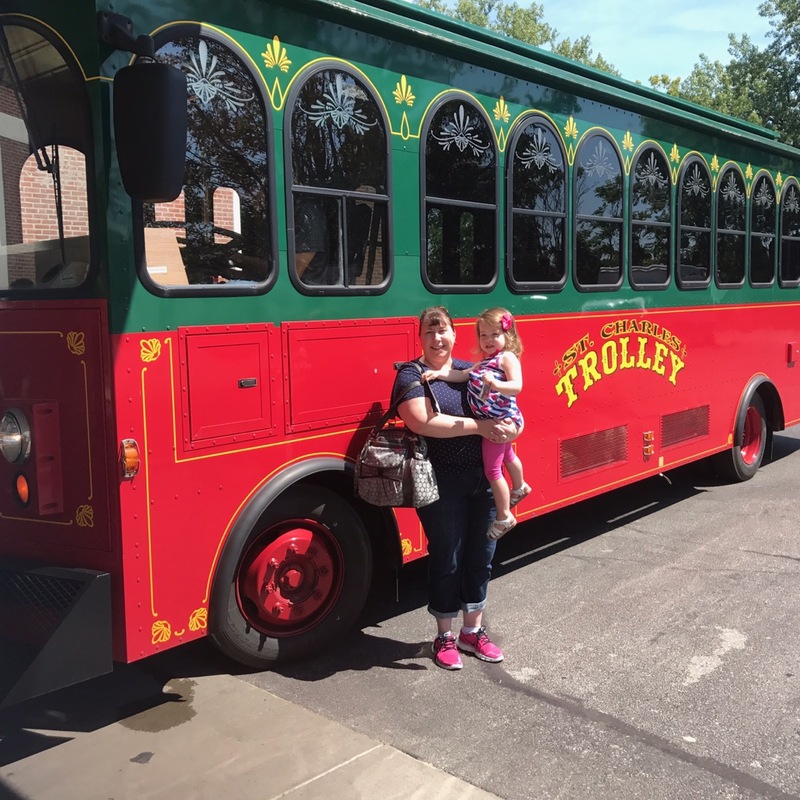 The steps in our home have been transformed into a trolley and Lillian asks family and friends to take an imaginary ride to the library, grocery store or doctor’s office on a daily basis. Lillian enjoys acting out the show’s familiar opening scene by sitting in her little chair and singing “It’s a Beautiful Day in the Neighborhood” while carefully putting her shoes on. Our little girl is filled with great imagination! While watching Daniel Tiger and his friends I am transported back to my childhood where I enjoyed watching “Mister Rogers’ Neighborhood” and became enchanted with Daniel Striped Tiger, Henrietta Pussycat, King Friday, Mr. McFeely and others in “The Land of Make Believe.” Many of these characters (or their offspring) appear in “Daniel Tiger’s Neighborhood.” When I watch the show with my daughter its like seeing old friends from forty years ago! This new show carries on Fred Roger’s legacy by supporting whole child development and is based upon Fred Rogers’ six principles of learning readiness. I am reminded of the the importance of childhood play, discovery, creativity and imagination. ​​Another show highlight are the catchy strategy songs that introduce the preschool set to social/emotional themes: feelings, confidence, new experiences, self control, responsibility and kindness. We enjoy listening to the songs in the car and at home while we play. Sometimes I find myself humming the songs throughout the day and I have spent several sleepless nights with the songs playing over and over in my head! Last week I felt like I was living in a real life musical. Not a bad place to be since I absolutely adore Broadway theater! It all began while I was preparing breakfast. My mini me peered up at me and sang, “When you wait, you can sing, play or imagine anything.” A song she learned from watching Daniel Tiger! I was impressed that she was singing the song at the appropriate time and she didn’t miss a single lyric. Since it was Saturday, Daddy was home and he joined his girls in building a huge castle out of blocks. That’s when we heard her sweet voice sing, “I like to be with my family. Family time is special.” When she tried to use the potty she belted out, “If you have to go potty, stop and go right away. Flush and wash and be on your way.” And when it was time to clean up before bed she sang, “Clean up, pick up, put away, clean up everyday!” Although she did a better job singing than picking up any of her toys, it was clear she was learning a lot from watching Daniel Tiger and his friends. 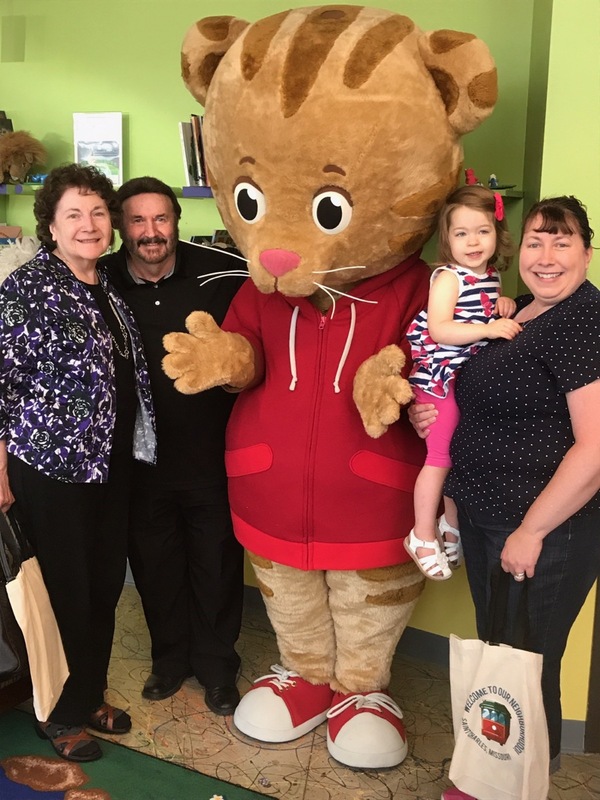 In late August the Saint Charles County Library System sponsored a special story time and trolley ride with Daniel Tiger. 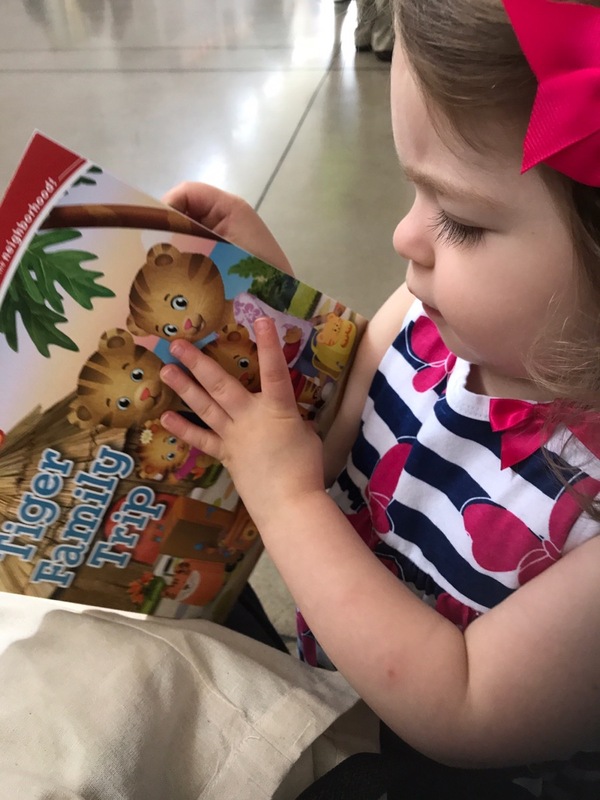 Lillian was thrilled to meet Daniel Tiger and I was pleased to see my daughter enjoy something I adored as a child. It was an exciting day in our neighborhood and we made a special memory this neighbor will never forget!